2. I think the beauty of Wilder and Brooks is their ability to play both the long and short game, whether it's a callback gag ("Hedley!") or very subtle gags (someone pointed out that "Bruher" means "glue" in German, which makes it even funnier that the mention of her name would make horses anywhere in earshot whinny in fear). ZAZ is like a machine gun shooting pies in your face; even if you duck a few, most will get you. Gags are layered on thick, and even if a whole concept sails over your head, there's another in a minute. What I love about ZAZ and Brooks is that repeated viewings of their films - and I mean DOZENS of times - prove to be still funny. 3. I imagine anyone watching Airplane, Naked Gun or Police Squad - never having seen Leslie Nielsen before - would laugh hysterically at his pitch-perfect performance. But having seen Nielsen play dramatic roles (often a bad guy in a crime film) it was twice as funny; it's as if he was parodying his own career as well as the genre. Robert Stack also nailed this (1941 and Airplane) as did Lloyd Bridges. But Nielsen was the best, because it was obvious he was willing to play along with whatever ZAZ came up with, no matter how absurd or physically demanding. Sellers as Clouseau was probably not as dramatic a change (PS was a chameleon and not a "type") and was just as game for physical slapstick, but probably had a more focused character (language gags, dead serious) than Nielsen's Drebin. Drebin also did not usually frustrate and antagonize his superiors, which was central to Clouseau. And both bumblers somehow were successful at the end. The car driving its self, Nielsen walking thru the wall to the lab, the james bond tricks or gags. Gags are going on thru out the scene on and off screen. ​Both are almost doing the same kind of spoof relating to the kind of film they are spoofing. Mel Brooks was a black and white horror spoof while the ZAZ's were a police spoof and in color. Both of them would be great in a film. Both are police inspectors. Both actors do slap stick comedy and use the props around them to make the scene funny. And before the naked gun came around Leslie Nelson was a serious actor in dramatic roles but later on in his life became the funny man. And I feel like Sellers was almost type casted in comedy roles after the pink panther films. He did a dramatic role back in the early 80s called being there. great film. And before the naked gun came around Leslie Nelson was a serious actor in dramatic roles but later on in his life became the funny man. In real life, Leslie Nielsen was an extremely funny person. He and Robert Goulet were both Canadian actors, who got typecast as dashing dramatic heroes, because of their good looks and gorgeous baritone voices. But the two of them were mischeivous best buddies, who loved playing pranks using little hand-operated flatulence-noisemakers. After Nielsen became a comedy star, he often said that, in the past, he'd been a comedian pretending to be a dramatic actor, but now he could finally be himself. The scene starts with a voiceover narration, something very common in film noir and police procedural films. A common procedure, taking note of a car’s license plate, is mocked, because the car that tries to run over Frank Drebin is his own. And when in the lab, the shoe weapon demonstration is very similar to what we see in spy movies, like the 007 ones, and also reminded me of the TV series Get Smart. I see that they are similar in many ways, especially when it comes to the broad slapstick Mel Brooks added to Young Frankenstein. But I’d say the spoof in YF is more direct, more obvious, while in ZAZ’s approach we have a broader genre being spoofed: it’s not only Frankenstein and The Bride of Frankenstein, ZAZ spoof the whole airplane disaster / police procedure sub-genres. I think they have a lot in common: they are both inapt police officers who, despite doing many things wrong, keep a straight face and don’t realize they are messing up with the whole investigation. Unlike Young Frankenstein, the ZAZ approach in Naked Gun is very broad and over-the-top. They parody a lot of the conventions of police and crime films, down to the exaggerated explosions and some specific lines. ZAZ also doesn't target only police procedurals/crime films; there's a bit touching on gang films (the graffiti wall), but most notably James Bond/spy films. I think there are a lot of similarities between Drebin and Clouseau, but considering that I've only seen a bit of Clouseau, I would say that Drebin seems more oblivious. But still, both are clumsy as hell, while delivering deadpan comments. 1- ZAZ approach: One gag's completion lingers as new gag is set up. One gag segues into the next. Example 1: Car's airbags deploying - first the driver's side, effecting the gear change, then the passenger side, then after Frank jumps out of the way of the car, the car has back seat airbags deployed, then after car explodes, the trunk is being dragged. Then the car turns the corner and lingering effect of where is going to go and wreak havoc, as Frank tells cop to get the witnesses names. Example 2: The Swiss Army shoe is demonstrated and then while Ed is playing with the shoe, the next gag, the cufflinks is introduced and because of the lingering effect of the fascination with the shoe, Ed gets shot with the dart and passes out. Then next gag is set up, where Frank looks into the microscope and Ed comes to from the dart. Example 3: Tall lab guy comes with microscope for next gag. Audience can't see his head - he's so tall. He has a banana in his hand which in itself is funny. Frank is affixed on the height of the guy, looking up at him, tells him he has something on the side of his face. We imagine the banana on his face.... then, "no, the other side." The microscope becomes set up for the next gag as tall guy walks away. Example 4: Debin can't see anything in the microscope just as Ed comes to, feeling his neck and says, "Use your open eye Frank." He looks up and his left eye that he was looking with is closed. Next gag, where Frank adjusts the microscope so that the glass slide is crushed.... then he looks up and his left eye is still closed. It's so stupid, but I can't help but laugh because Leslie Nielsen pulls off the dead pan so well. Everyone is deadpan, serious about their importance as cops and crimefighters. The film parodies TV shows like Dragnet and Get Smart. There are elements of Marlowe films, so the movie has a mix of film noir and comedy and action. Like in the Marlowe films, the protagonist (Frank Debin) recounts the story in narrative, hardboiled style. 2- Compare Mel Brooks/Gene Wilder style with ZAZ style: Spoofs are similar in that there is a lot of deadpanning. Gags include ridiculous accidents that are elaborated on. They are different in the society of people involved- Pink Panther scene - elite society, Naked Gun - thugs. In both, the protagonists mask their mistakes. In both scenes there is a spy-like 007 influence - Naked Gun in the lab, Pink Panther, with the pool table, playing pool. 3- Clouseau wants to be more than he is - he is addressed with courtesy as Inspector Clouseau. Debin is pragmatic and he is called by his first name in the scene (Frank). They are both self-effacing and self-important (don't want to be centred out for their mistakes and have a one-focus mission. Debin is more Marlow style, hardboiled. Clouseau is more the romantic spy type. 3. In the context of slapstick comedy, compare Peter Sellers' Inspector Clouseau with Leslie Nielsen's Frank Drebin. I love both of these comedic actors but there is something glorious about Nielsen's Drebin and his happy-go-lucky, pass the buck, absurdity. Sellers' performance seems more classical and trained. It is really difficult to describe the difference between them, to be honest! It's pretty much wall-to-wall gags, one after another, and they don't limit themselves to parodying a specific genre, but throw in slapstick elements and visual gags wherever they can, whether or not they further the plot (like the scene where "Al" walks in, the camera never moves to include his face in the scene, and when Drebin tells him he has something in his mouth, about a quarter of a banana falls out). Also, there's the random gag where two characters walk through a door while Drebin walks past the fake scenery half-wall (it calls more attention to the filmmaking, and to me has more of a surreal quality, than similar humor based on the scenery in Young Frankenstein). But character is still involved, as Nielsen plays it completely straight and his character remains pompous, but clueless, throughout. I'd say Young Frankenstein's gags are usually related to the genre, either playing with the conventions of the film (the scene in the science class) or the sets and scenery (like the exchange between Frankenstein and Terri Garr's character, Inga, when they arrive at the castle with its massive door ****--"What ****!" "Thank you, Doctor!" --the revolving bookshelf scene, or the scene when the table used for Frankenstein's experiments with the monster lowers from the ceiling to reveal Inga and Frankenstein, who've obviously just slept together.) With Brooks and Wilder, the gags are usually part of the plot, or further the plot--for instance, the "Puttin' on the Ritz" dance number doesn't come out of nowhere, as it might in a ZAZ film (say, the troopers in Top Secret! ); it's Frankenstein's way of showing the world what his creation is capable of.) ZAZ films are more anarchic, I'd say. Both characters take themselves seriously, but are constantly doing ridiculous things or leaving chaos in their wake. Both could be called pompous or pretentious, but I think Drebin is more so. Leslie Nielsen's deep voice adds to that pompous feel. Also, Drebin doesn't seem to notice his screwups, or be aware of how stupid he comes off. Like when he tries to look through the microscope with his closed eye. When he's corrected, he simply looks through the other eye, without reacting emotionally at all. And in the scene when the car's airbags inflate, I'm pretty sure we're meant to think he has no idea what happened--although at the very end it seems like maybe a look of recognition crosses his face at the end). Inspector Clouseau, on the other hand, is often seen trying to recover his dignity (as in the billiards Daily Dose scene, where he tries to blame his clumsiness on the designer of the cue rack and then on the house's architect). Also, from what I remember of the Nielsen comedies, the physical stuff usually happens around him, but he usually isn't doing a lot of physical acting (pratfalls, etc.) himself. Sellers is more adept at physical humor, I think. If Clouseau is a “self-conscious klutz,” Drebin is an “oblivious force of nature.” Drebin seldom realizes he has made a mistake; he is blissfully unaware of the chaos that he creates around him (as demonstrated by his parking skills). While Clouseau is often involved in the chaos he creates, Drebin is a “catalyst for chaos.” His presence facilitates the chaos, yet he is (usually) not involved in it. Great way to put it. I was struggling to explain this in my answer. ZAZ's approach on film parody or film spoofs in this comic scene is based on police/detective movies. 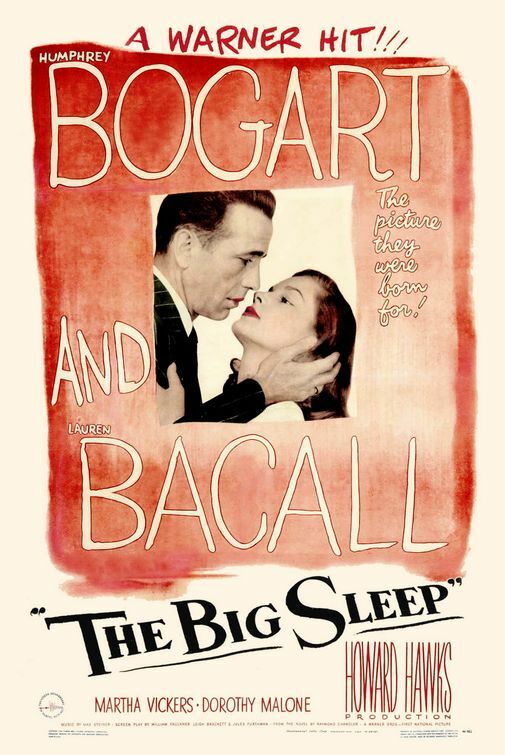 One of the best examples that I could cite is Detective Philip Marlowe who is played by the enigmatic Humphrey Bogart in thriller "The Big Sleep". ZAZ's film "The Naked Gun" was a parody/spoof on detective films whereas Young Frankenstein is parody/spoof on classic horror cinema. The latter movie was a sheer tribute to the horror monster and creature movies while the former is more indulged in mocking the law enforcement agency/private eyes. It could be said that Peter Sellers' version of Inspector Clouseau is similar with Leslie Nielsen's Frank Drebin. Inspector Clouseau is an amateurish detective who gets into messiest mess whereas Detective Frank Drebin is a maladroit who may get into trouble but comes out of it.